A new Huawei P30 series rumour has surfaced revealing more about the upcoming pair of smartphones. This news comes from Chinese publication QQ. The leak indicates that both the Pro and standard version of the Huawei P30 will sport an OLED display, instead of an LCD panel, like the P20. Both handsets will reportedly ditch the iPhone X-style notch in favour of the Essential Phone-style teardrop notch. 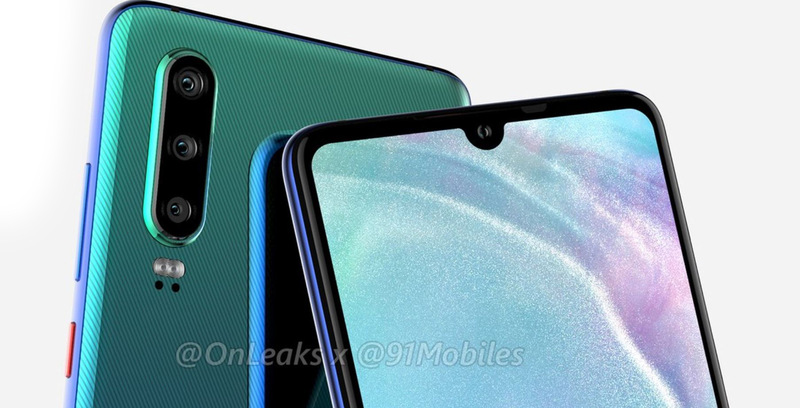 A teardrop notch means Huawei will not use 3D face scanning technology for either P30 handset. The standard P30 will reportedly sport a 6.1-inch display, whereas the P30 Pro will feature a 6.5-inch screen. The P30 will reportedly use the same camera setup as the Mate 20 Pro, though in a vertical arrangement, like the P20 Pro. The P30 Pro, on the other hand, will reportedly feature a periscope module that’ll allow for a higher zoom. Additionally, the P30 Pro will have the latest Sony IMX6 sensors. Though previous rumours indicate that the P30 Pro will sport a quad-camera setup. If Huawei is going by 2018’s phone release schedule, the company will not unveil the P30 series until March 2019. Until Huawei officially unveils the P30 series, take all rumours with a grain of salt.